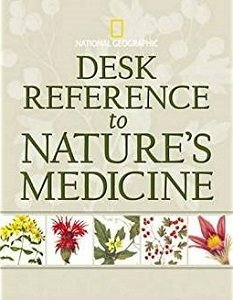 Hard Bound w/dc | 416 pp | Size: 9.8" x 8"
A beautiful hardback book, true to National Geographic's reputation for quality, this reference guide covers 150 most useful plants from around the world. Each entry covers the location, history, traditional and current medicinal uses, cultivation and preparation, as well as research findings for the medicinal properties of the plant. An important volume to have in your herbal library.